This book touched my heart so much that I didn't want it to end! It made me feel all sorts of 'feels' and gave me the same feelings I felt when I read Snicker of Magic by Natalie Lloyd. This book and it's characters will stay with me for a LONG time! Jess Redman did a great job of making me feel connected to the characters; so much so that their pain, sadness, hopelessness, and eventually hope became my own. From Goodreads: This poignant novel in verse based on true events tells the story of a boy’s harrowing experience on a lifeboat after surviving a torpedo attack during World War II. The events and situations that the characters go through are believable and so well-written that I felt like I was experiencing it right along side them as the story progressed. After finishing the novel, I wanted to conduct some of my own research into the sinking of the Benares. This topic could make a great research project for a middle school student! Susan Hood, the author, was inspired by real life events of a family member. These books are always the best and most authentic--a true testimony for why people write. Everyone has a story (or multiple stories) to share. This book was such a pleasant surprise! I finished it in a day--I just couldn't put it down. One of the most mind blowing aspects of the story is that many of the situations were based on Kelly's real life experiences growing up as the a first generation daughter of Chinese immigrants in California. Reading about Mia Tang's experiences growing up in contemporary California made me think about the history of Chinese immigration in America. Often, I notice that the themes and topics that I am reading and learning about are connected somehow. I had started listening to "Outrun the Moon" by Stacey Lee (see below) shortly prior to picking up "Front Desk" because it is on the 2019 Nutmeg Nominee Teen List. About a week later, I was looking through my recorded episodes of PBS American Experience and was excited to see the latest recording was "The Chinese Exclusion Act." Near the beginning of the episode, a document scrolled across the screen entitled, "Coming struggle; what the people on the pacific coast think of the coolie invasion" by M.B. Starr. This led me on a search to see if I could find a digital version of the primary source. I came up empty, but my interest is piqued and I now have another idea for future National History Day topics! I love the journey that books take me on--I am never disappointed! I devoured this trilogy and am really sad to see it end. Five weeks ago, I had never heard of neither the series nor the author, and today I have entered a state of mourning because I have finished it! 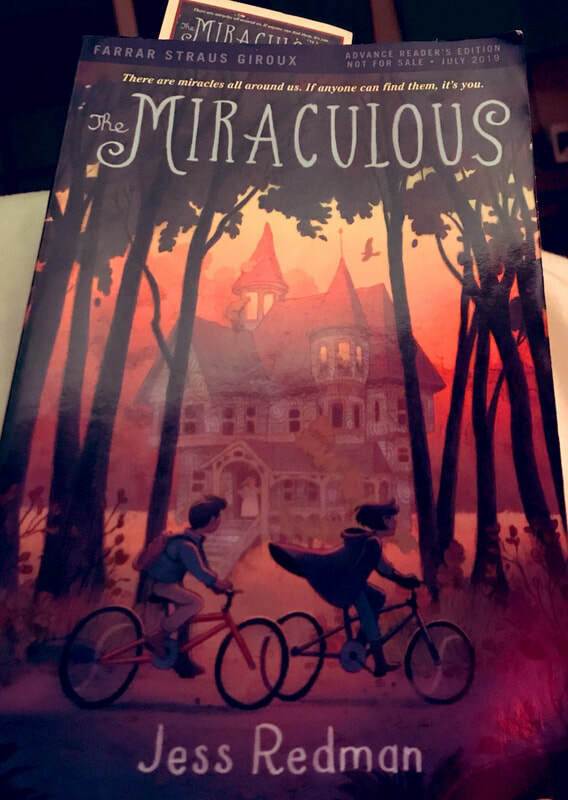 When I picked up this book at ALA Midwinter this past February, I was immediately excited by both the cover and the fact that Angela Cervantes had a new book out! I am a big fan of her previous books, "Gaby, Lost and Found" and "Allie, First and Last." The fact that the book contained interesting facts about Frida Kahlo and her home "Casa Azul" in Mexico City. I was not disappointed--I read the book in a day and loved it! This middle grade novel is full of mystery, suspense, and well placed and interesting historical facts. When Paloma Marquez travels to Mexico City for four weeks over her summer vacation with her mom, she is less than excited. Although she is happy to be able to finally visit the birthplace of her father, who was killed in an accident when Paloma was 3, she is worried about not speaking the language and missing out on regular summer fun with her friends back home in Kansas. It doesn't take long for her to change her mind though! 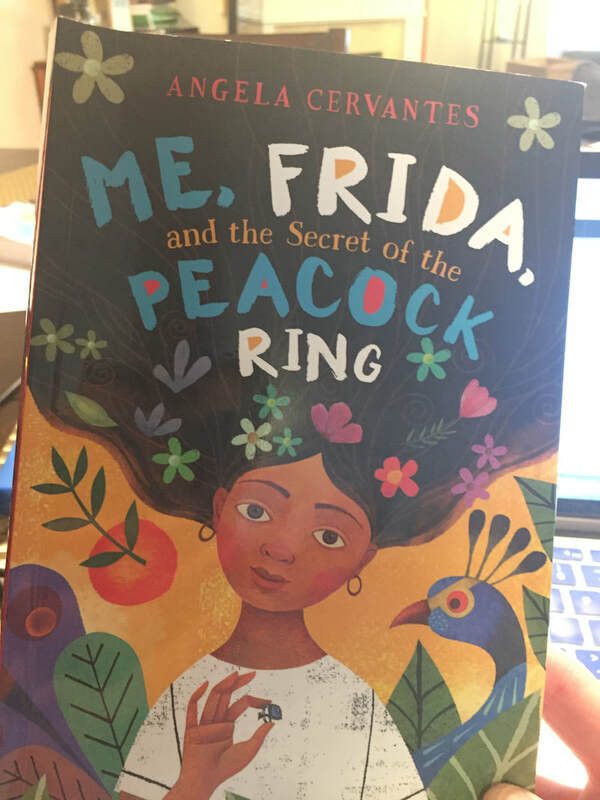 The first night she meets a very interesting (and cute) boy who promises to show her around, as well as a brother and sister who ask for her help in solving a famous mystery involving the missing peacock ring of Frida Kahlo. 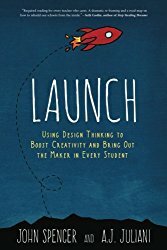 Click here for my curated list of #Makerspace books and articles! I was very nervous to read this book because I get very emotional when reading animal stories. I am so glad that I took the chance because I loved it! I read the entire novel in one sitting and cannot wait to recommend it to other readers. Ann M. Martin, one of my favorite authors from childhood, has done a superb job of narrating the story through the eyes of a stray dog Squirrel. She truly made me feel as though I was going through life with Squirrel and throughout the story I experienced a variety of emotions including joy, sadness, anger, and compassion. This is a must read for all animal lovers! ​This wasn't an easy book to read and there many times I almost abandoned it, but I am glad I stuck with it. The fact that almost 1/3 of the book is source notes and references is astounding. I cannot imagine what it would be like to try to write narrative non-fiction about a person who lived so long ago. 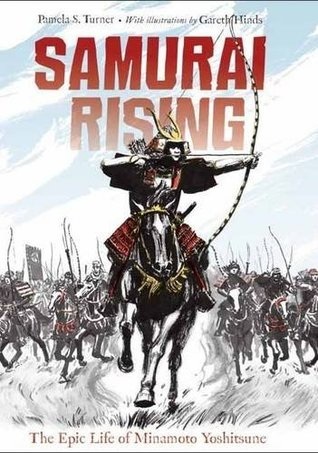 The story brought me into what life would have been like in Japan during the 1100's and gave me a greater appreciation for that period of history. There is a lot of violence in the book since that time period was very violent, so I wouldn't recommend the title to elementary students (not to mention it is rather complex with all the characters and places). However, I think this book would be great for middle school and up for any reader who is looking for a challenging book with a lot of action and adventure. Just having finished the newest book by Sharon Creech, I needed to immediately write a review! Moo is a short novel written in verse and tells the story of a family who decide to leave the hustle and bustle of a big city for a quiet town in the state of Maine. The family of four find themselves in a small harbor town and shortly after arriving the children's parents volunteer Reena and Luke to help Mrs. Falala, a neighbor who is known in the town to be strange and scary. The two children are responsible for taking care of a menagerie of animals, including a pig, a cat, a parrot, a snake, and Zora the Cow. Although it is rough going at first since Reena and Luke have never been around farm animals and were 'inside' people prior to moving, slowly they get more comfortable and learn to get along with both the animals AND Mrs. Falala (fal-LA-la). When Mrs. Falala informs Reena that she will be getting Zora ready to show her at the local fair, Reena doesn't know where to begin. However, with the help of another neighbor, Zep, Reena learns that becoming a cowgirl can mean so much more than just taking care of animals. This book made me think fondly about growing up on a dairy farm in Minnesota, and the annual county fair. Although my mom always wanted me to join 4-H (because she had participated as a young girl), I preferred to be a spectator--but I did enjoy going to see all the animals at the fair every summer. ​"It's strange how ideas can arrive out of dripsagging blues." 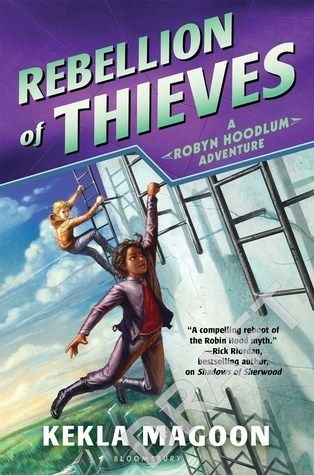 ​Robyn Hoodlum and her friends are back in Band of Thieves, the second installment of Kekla Magoon’s series. While Robyn and her group continue to fight against injustice and corruption in the Crescent Rebellion, Governor Crown turns up the pressure. After a somewhat slow beginning, the plot picks up speed when Robyn and her side-kick Key enter the Iron Teen Trial. Risking everything, including her carefully guarded identity, Robyn competes for a highly sought after invitation to a dinner in the mostly inaccessible Capital District, where she hopes to reach a group of revolutionaries in need of rescue. When things do not go according to plan, a difficult situation forces this daring—and somewhat selfish—heroine to put the greater good ahead of her own desires. Fans of the series will be satisfied with her character development and look forward to future titles. I am a middle school teacher librarian and former classroom teacher. I have a passion for all things books and try to match my readers with high quality literature in every possible situation.